Health experts from across the Asia Pacific gathered in Auckland from 1–3 November for the 2018 IUSTI Asia Pacific Sexual Health Congress, to discuss the major challenges facing sexual and reproductive health in the region. "Not only [did] this congress bring together the diverse countries of our region to showcase our collaboration when it comes to sexual health, we are also demonstrating what we can achieve when we see partnerships between specialists, GPs, nurses, community, researchers, health promoters and educators,” said ASHM CEO Alexis Apostolellis. More information will be announced soon regarding the 13th International Congress on AIDS in Asia and the Pacific (ICAAP13) that will take place 18 – 21 September 2019 at the Perth Convention & Exhibition Centre. The conference aims to bring together the community, clinicians and funders to identify and solve key issues in the region in order to achieve significant gains in the response to HIV&AIDS in Asia and the Pacific regions. 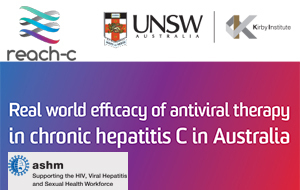 Clinicians who gained ASHM scholarships provided report back of their key learnings having attended the 2018 HIV Drug Therapy Conference (28–31 October in Glasgow, Scotland) and 2018 IUSTI Asia-Pacific Congress (1–3 November in Auckland, New Zealand). To find out more about the ASHM Scholarship Program visit the ASHM website.